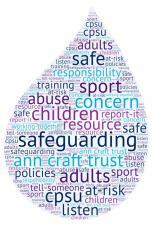 Working together to safeguard children 2018. This is a useful link which highlights key changes in the new 2018 edition. This guidance replaces Working Together to Safeguard Children (2015). With the increasing popularity of social media among children and young people, the importance of encouraging safe behaviour on club and coach webpages is becoming ever more significant. The below document is a template 'Acceptable Use Statement' created by the NSPCC. The document is aimed at both parents and participants, and is designed to gain written agreement to an outlined standard of online behaviour.